With the Black Friday human stampede at Eureka’s Wal-Mart a fading memory, Humboldt has been jonesin’ for bone crunching spectacle. Luckily, Humboldt has responded with something infinitely more inspiring. Derby season is upon us, yo! The women of Humboldt Roller Derby return to the track at Redwood Acres Fairgrounds’ Franceschi Hall this Saturday, March 30, for a double header featuring all the community pageantry, fast-paced action and colorful bruises HumCo has come to rely on. Doors open at 5 p.m. The first bout of the evening features your Humboldt Widow Makers putting the hurt to Chico’s Viva Roller Derby. 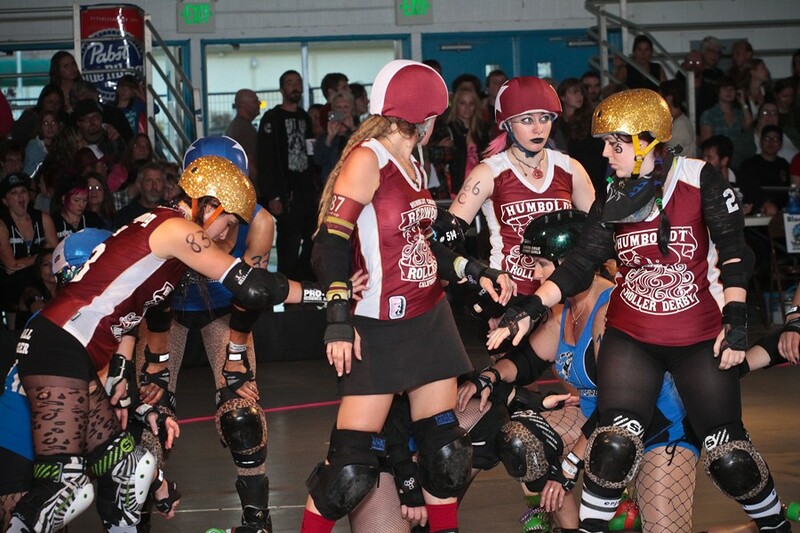 Later, the Redwood Rollers will roll through the Bay Area Derby Girls’ Oakland Outlaws. This year will be HRD’s fifth competitive season and its second as a member of the Women’s Flat Track Derby Association (WFTDA), the largest international body that governs the sport. In other words, these ladies are legit. Tickets for Humboldt Roller Derby bouts are $12/$10 in advance (the latter being the best way to go since they’ve sold out every event since 2008). For more info check out humboldtrollerderby.com. Roll on, Humboldt. Roll on.